If you do not plan to use some server anymore, you can remove it from the backup infrastructure. You cannot remove a server that has any dependencies. 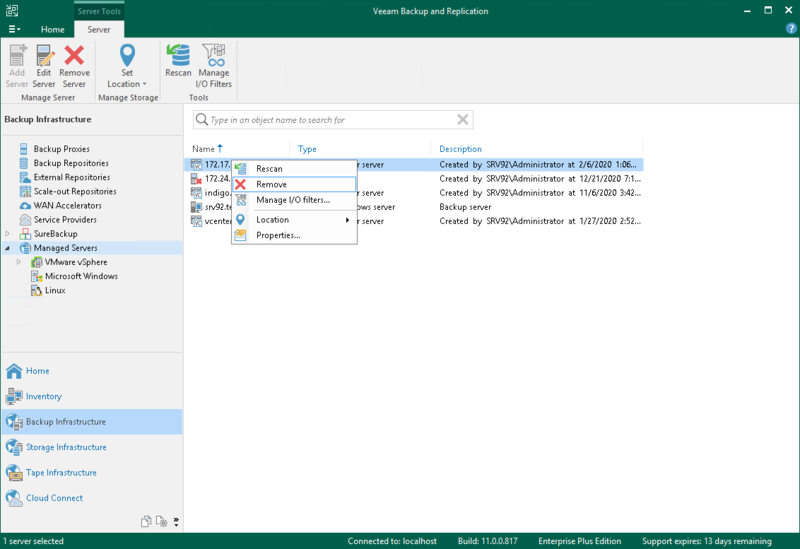 For example, you cannot remove a server that is referenced by a backup or replication job, performs the role of a backup proxy or backup repository. To remove such server, you will need to delete all referencing jobs and roles first. In the working area, select the server and click Remove Server on the ribbon or right-click the server and select Remove.